Film Plot: The Bride continues her quest of vengeance against her former boss and lover Bill, the reclusive bouncer Budd and the treacherous, one-eyed Elle. Kill Bill is Tarantino’s kung fu opus. Originally meant to be a single film (with up to two more Fistful of Dollars-style sequels! ), the film was packed with too much witty dialog and old references for a single sitting so it was broken up into two parts. While both films were packed full of bloody revenge, Vol. 1 focused a bit more on duels with her former Deadly Viper Assassination Squad members whereas Vol. 2 delved more into the backstory of both the Bride and the titular Bill. Tarantino wanted to pay homage to the major martial arts stars so he gave prominent rolls to both Sonny Chiba (千葉 真) — who played master samurai sword maker Hattori Hanzō in Vol. 1 — and Gordon Liu (劉家輝) — who played Johnny Mo, the leader of the Crazy 88 Yakuza gang in Vol. 1 and kung fu master Pai Mei in Vol. 2. Tarantino has stated that if Bruce Lee were still alive he definitely would have been offered a prominent roll as well. The Japanese campaign produced many unique and wonderful designs for the Kill Bill series. This Vol. 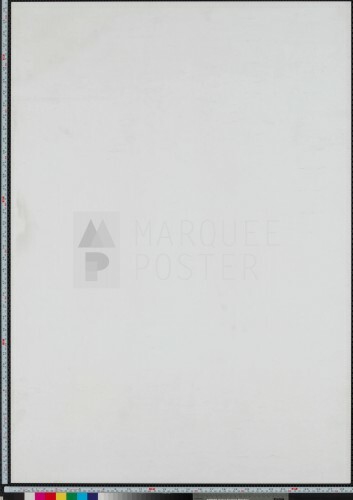 2 poster is gorgeous both for it’s stark use of color and simple, modern design ethic. 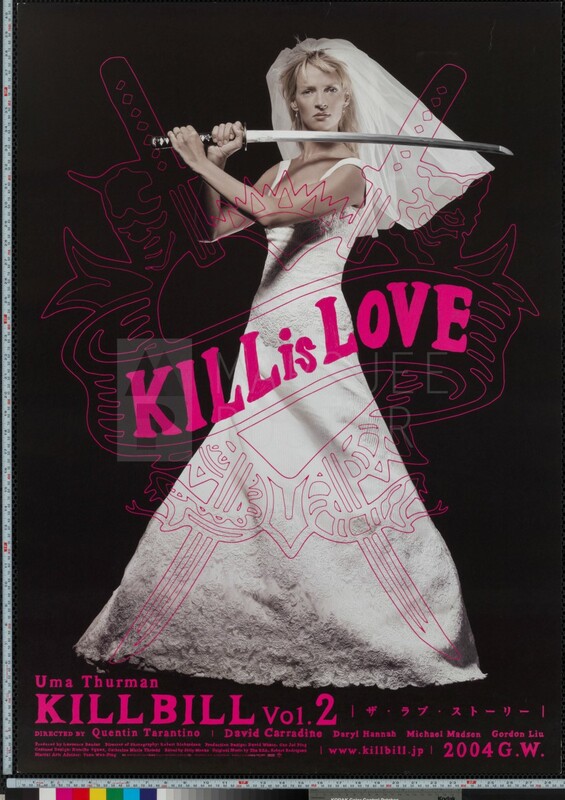 The amazing “Kill is Love” tagline, bold use of pink, and tattoo-style overlay graphic combine to make this poster a standout in any room.